Kind, active, loving, giving, creative and grateful are just some of the attributes that made up Louise's personality throughout her 102+ years. Louise was the eldest of 7. 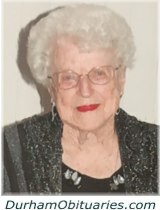 In celebrating the life of Jean Catherine Spicer, who passed away on Monday, October 16th, 2017 at the age of 89. Loving wife, mother, grandmother, neighbour and friend. Jean is survived by her children Richard Spicer, Donna Spicer, Eric Spicer and predeceased by her son Ron Spicer. JONES, Douglas - "The Douger" Peacefully at Markham Stouffville Hospital on October 16, 2017 in his 63rd year. Proud father of Marlena (Mike) and Brandon. A long life, well lived, cherished and treasured by her loving family and community in Canada, Japan and around the world. Calgary, Alberta Loretta, Mom, passed away at her home in Walden Care Home, Calgary on Monday, October 16, 2017. Her son, Greg, daughter, Kathy and son-in-law, Randy were at her side. TOD, Jean Mary (nee SMITH) - Peacefully at the Orchard View Living Centre on Monday, October 16, 2017. Jean Tod formerly of Toronto age 94. Beloved wife of the late Charles Harris Tod. Iris Giggs died peacefully and without pain after a short illness at Etobicoke General William Osler Health System, surrounded by her four children Julian, Jonathan, Simon and Hilary. 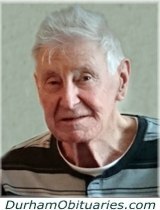 ALLDERDICE, William H. - Died October 16, 2017. 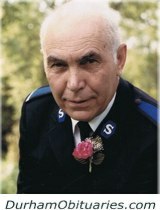 Penelope Witte's husband. Father of Edward, Jacob (Sharon Ho) and Frances Witte-Holland. Former father-in-law of Emily Jean McLaughlin and Joe Holland. 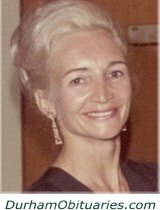 LENGAUER, Elizabeth “Betty” nee Haydl – Passed away peacefully at home on Sunday October 15th, 2017. 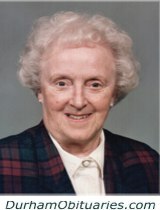 Betty Lengauer, in her 86th year was predeceased by her husband Frederick (1982). Beloved mother of Randolph & his wife the late Brenda (2017). Predeceased by her son Frederick Jr (2014). Loved grandmother of Jonathan & his wife Stephanie, Brittany and Ashley. 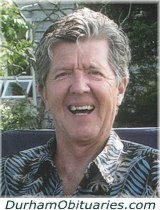 PEMBERTON, Warren Frederick - Passed away peacefully on Sunday October 15, 2017 at Lakeridge Health Oshawa at the age of 76. Beloved husband of Jennifer for 43 years. Devoted father of Laurie (Shane Jones), Dwayne (Sandra), Christine, David (Melissa), Deana (Randy Gardner), Andrea, Blaine (Rohanee), and Bonnie (Carl Aube). Lovingly remembered by his grandchildren Brandon, Nathan, Justin, Brodie, Cassandra, Jorilynn, Alex, Brianna, Alexia, Caiden, Samantha, Lincoln, Ethan, Ryan, and Keira. Dear brother of Helen (Fred Ashby) and Jean (Ben Hoy). After a brief illness, with his family by his side, at Lakeridge Health Oshawa on Sunday, October 15th, 2017 at 85 years of age. Beloved husband of Donna for 59 years. Loving father of Lori Russo and her husband Sam, Stephen Morris, and Tracey Lakovnik and her husband Paul. Proud Grandpa of Christopher, Nicole, Andrew and Matthew. MOODY, Florence Victoria - Peacefully at ThorntonView Long-term Care, Oshawa on Sunday, October 15th, 2017. Florence, in her 104th year. Beloved wife of the late Lloyd Moody (2002). 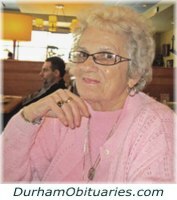 Loving mother of Jacqueline Roberts of Kitchener and of the late Marlene Moffat. Dear grandmother of John, David, Stephen and Laurence. Born December 15th, 1938 passed away peacefully at the age of 78 on October 15th, 2017 with her daughters Kimberley Thompson (nee Breen) and Dannielle Breen (Mark Groves) by her bedside. Martha was cherished by her grandchildren Jessica Mary Thompson and Liam James Breen-Groves. She was predeceased by husband James Douglas Breen, her brother Rev. Donald Wilson (Margaret Wilson), her sister Jean Lewis (Ronald Lewis), her mother Helen Wilson (Richardson) and father Alec Wilson. BAKER, Arthur Ira - Promoted to Glory on October 15, 2017. Beloved husband of the late Ruth (2010). Loving father of Kevin (Lisa) and Heidi. Cherished grampa of Melissa and Jonathan. Arthur will be lovingly remembered as “Grampa Baker” and “Uncle Art” to his extended family, including family in Ontario, Saskatchewan, and Sweden. 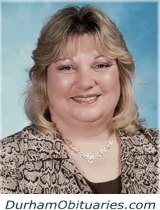 EWELL, Beverly Anne (nee Fox) – It is with heavy hearts we announce the sudden passing on Sunday, October 15th, 2017, of a wonderful wife, mother, daughter, sister, nanny and dear friend to many. Bev will always be remembered for her kindness, generosity and for her love and devotion to all. Loving wife to the late Derek Ewell. Cherished mother to Krista Lowell (Jim). Very proud nanny of Trenton (the sunshine of her life). O’CONNOR, Hugh - (1932 - 2017) - Passed away peacefully on October 15, 2017. Cherished grandpa of Lisa, Michelle (Steve), Brad (Liisa), Cory (Ian), Kristine and great grandpa of Liam. Dear brother of Roy, John, Thomas & Winnifred brother-in-law of Carol. Dear uncle of Gary (Sharon) and Tim. SIMONE, Sammy - Suddenly at his home, on Sunday, October 15, 2017, Sammy Simone, at the age of 52 years. Loving father of Samantha and Mike. 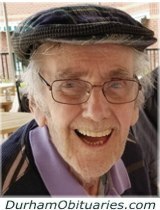 Bernard Roach, son of the late Honourable Justice Wilfrid Roach of the Ontario Court of Appeal and Gertrude (Heck) Roach died peacefully in hospital, two weeks short of his 93rd birthday. It is with deep sadness we announce that at the age of 78 after a brief illness Sheilah passed away peacefully on October 15, 2017 at Southlake Hospital in Newmarket.